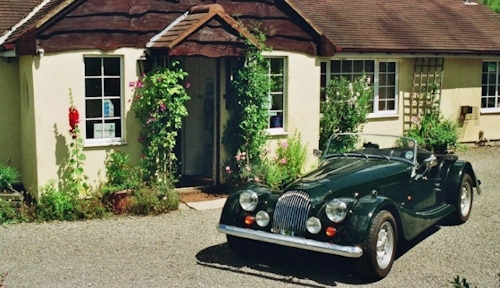 Car parking is within the garden and maximum 15 yards from the front door. There is a maximum 3 inch entrance threshold into the house. We provide a ramp when necessary. Within the house there is one 2 inch step down into the private shower room. All showers have a threshold step - the maximum is 4 inches. There are grab rails in all showers and the bath, and a grab rail beside each toilet. Unfortunately our hallway is not wide enough and our bedrooms and bathrooms are not large enough to allow a wheelchair to manoeuvre. We offer assistance with luggage and at other times if required. In the garden, there are several steps or a gentle slope to the side, to access the lawns and seating areas.